I’ve spoken before about my habit of collecting words and sentences: Read Like A Writer – Collect Words. Collect Sentences. But I thought I would share the significance this has for me as a writer, especially this week. The benefit of collecting words, and more importantly, some of the words I have collected has unblocked my block! My lovely friend from work, who now blogs, Wandering Willis, gave me my current word collection notebook before she trotted off travelling. She blogs about her travels in South East Asia – check her out. I collect words in a multitude of ways. I am signed up to two online dictionary’s word of the day. Every day without fail, I get a new word in my inbox, if you don’t get these, you should – I really do learn something new every day! I’ve signed up to Dictionary.com and Merriam-Webster. As I said in my original post I spend the entire time I read, highlighting sentences and scribbling them into notebooks. As I approach 30 (eek) I decided to try and achieve something. In fact, 30 somethings. One of those things is to learn some Latin. I was never given the chance to learn it at school, so I’m determined to learn some now. I am quietly obsessed with ancient languages, you only need look at my sons name to know that. But more than any, I adore Latin, it’s the superiority of the language and the fact that some of the words are untranslatable. Which brings me nicely to this post. I love untranslatable words. I did a Writespiration on the word Hiraeth some time ago. But here is a list of just some of the words I have collected. Some are English, others are not, but I think each one is wonderful. Tarantism – Is said to be a form of hysterical behaviour, cause by the bite of the wolf spider Lycosa tarantula. The victims engage in a frenzied dance to save their lives. Timocracy – A form of government in which Honour is the dominant motive of rulers. Kalon – Beauty is more than skin deep – an idealised view of physical and moral beauty. Nedovtipa – A Czech word that means, someone who finds it difficult to take a hint. Natsukashii – A Japanese word that describes feeling nostalgic after a sudden trigger reminded you. Selcouth – Unfamiliar, rare and strange yet marvellous. Sapiosexual – Someone who is attracted to intelligence in others. Frowzy – habitually unkempt, slovenly. Orphic – Mysterious and entrancing beyond ordinary understanding. Froward – Habitually rebellious, wilfully contrary. Tartle – To hesitate when introducing someone because you have forgotten their name. Dysania – Finding it hard to get out of bed in the morning. Habromania – Delusions of happiness. Paracosm – A detailed, prolongation of a child’s imaginary world where a child includes human, creature or aliens creations. Anacampserote – something that can bring back a lost love. Paedarchy – A government run by children. Anagapesis – No longer feeling any emotion towards someone you once loved. Noosphere – The sum of human thought, knowledge and culture. Pettifoggery – A trivial argument. Vernorexia – A romantic mood inspired by springtime. Chrysalism – the amniotic tranquility of being indoors during a thunderstorm. Noctuary – The record of a single nights events, dreams or thoughts. Altschmerz – Weariness with the same old issues that you’ve always had—the same boring flaws and anxieties you’ve been gnawing on for years. Rubatosis – The unsettling awareness of your own heartbeat – I particularly like this one because I am acutely aware of my own heartbeat, I can slow it down just by thinking about it – bit of a party trick! Hybristophilia – The attraction to extremely violent criminals or those that have committed gruesome crimes. Frith – A deer forest. Obambulate – To wander about. Let me reiterate why, if you don’t already collect words you really should. Have you ever had writers block? I’ve written book one in my Keepers series, it’s sitting ready to be edited. I wanted to start book two, but I was blocked. Paralysed because I had spent so long absorbed in the first book I hadn’t stopped to think about book two. I had no idea where I was taking the story. 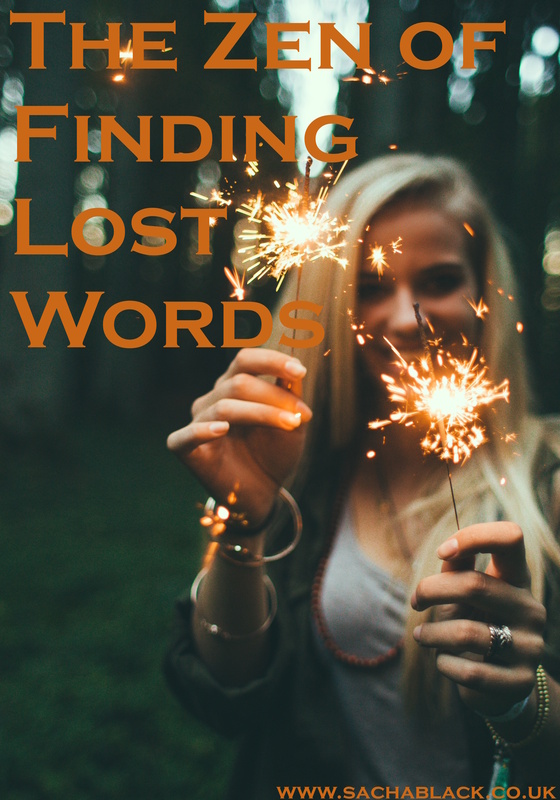 After delving into a list of unusual words, guess what… I had an epiphany, inspired by one of the words that gave me the ultimate conflict for my book. Next time your blocked, dig into the dictionary! The word Zen has become part of the English language, but what exactly does it mean? It’s much easier to answer the question “When is Zen?”, for that answer would have to be “Now!”. The whole point of Zen practice is to become fully aware, here and now. To come home to the present moment; this is truly where we live. Thinking verbally takes us far into the past, or into the distant future. But both past and future are fantasies, since the future isn’t known and our memories of the past are often quite distorted accounts of what really happened. Zen exhorts one to “Come to your senses!”, for when we get lost in thoughts of the past or future, life passes us by. This, like a lot of your other comments is a quote taken from someone else website. You can post quotes that other people have written without stating they are someone else’s work. What a wonderful set of words, my favourite is Natsukashii, but I wonder which one would score highest in Scrabble? Have you come across the new crazy slogan Skiddly-down-down-down-dang? Hey Rosie, thank you. It it only a few of the hundreds of words I have collected! I should write them all down one day! Actually on the website I shared he has a section on small scrabble words! and nope, not heard of that phrase – what is it? It’s a crazy line from song Locked Away by R.City featuring Adam Levine, which Lisa and Dave from the breakfast show at London’s Capital Radio have got going and people are fitting it into conversations etc It’s one of those “get down with the kids” moments I enjoy which REALLY embarrass the teenagers in this household. They may well roll there eyes but I told them about Gangnam Style way before it hit the No.1 charts for weeks on end…..Just sayin’! HAHA!! Rosie, this is brilliant. You are more down with the kids than me thats for sure! Can’t believe you knew about gangnam style too!! I loved that song! Would definitely break out into spontaneous dance whenever I heard it!! Me too! Think it may apply! Love an intelligent person! Great post, Sacha! I’m changing my name to Dysania! ? Hahahaha! I should too then!! hehe thanks for reading Raj. oooh really? haha, it might too – I wonder if its a noun or adjective. I didn’t check at the time. Sod it. Its bonkers enough that you should just use it! Hows the next book coming? extra learning or teaching classes? I feel your pain though, blogging is such a drain on my time, but one I love. I adore the interaction and feedback and solidarity. Its a tough one. I have been trying to sprint write, seems to produce more words than normal. oooh thank you Keith, will check these out – I have just put two enormous dictionaries on my christmas list!! will check these out too. So what is the word for a word collector! I’m impressed. How many of these words do you remember? How do you commit them to memory? How do you organise your collection so you can find the one you want? You have some wonderful words in your list, some of which I commit quite frequently but didn’t ever have the word to describe it (tartling for example). Thanks for linking to the Phrontistery too. Amazing words there! logolepsy is the obsession with words. lexophile describes a lover of words. A lexicon is the vocabulary of a person. but none of these quite hit the mark. I suspect there is a word, I just don’t know it! How do I commit them? unfortunately I can’t remember them all, thats why I write them down. But when I love one, I try and use it, and tell others about it, I write it down a few times, it goes in eventually. I tend to know when there is a word that describes something though – I will know it exists if I have read it somewhere, and then I will have to search for it. Although how knowing a word exists takes up any less space in my head than actually remembering it is a mystery to me. Silly brain!! Thanks for sharing that additional information. I hadn’t heard of logolepsy before. That’s a good one. I think writing the words and using them intentionally is a good way of remembering them. I agree that is is easier to have an idea of a word than it is to remember the word itself. At least if you have an idea you can search by definition or in a thesaurus. Years ago I used to have a “Reverse Dictionary”. I can’t quite remember exactly how it worked. I don’t think I found it all that useful, but it gave meanings and then possible words. I think. A reverse dictionary, thats insane, I am going to have to have a look for one of them! I feel like some of those words could be use as places or names in fantasy-type stories, lol. Great post! Couldn’t agree more!! actually thats a fab idea – I have been struggling with place names in stories – maybe I have been searching in the wrong places! Great words! I’ve been a word collector for years and years. My mother taught me that. You know, I think my all time favorite word is still dwindle and I so seldom get to use it! oooooh I love that word too. I have no idea how I would choose just one. I love so many and it changes dependent on my mood! dwindle is a good one though. I hope I can instil some of my love of words into my son too! I tartlets all the time! Good to know theres a word for it! hahahaha, so do i! its terrible isn’t it! Such a good word, sounds so right for the action it describes too!! haha, bit like a brain fart, except more polite! I also collect words, though I haven’t yet joined the word-a-day email services. This is absolute genius, Sacha, to collect words and turns of phrase and sentences. Writing which resonates deeply with readers is the writer’s goal. When we’re moved to react in some way as readers, we should be taking it as a prose-crafting lesson as writers. Excellent writing advice, and I believe I will start keeping a side journal to collect words and phrases in it which give me pause. Thank you, Sacha, and kudos on a great article. haha! feel free. I have stolen one or two of yours for my journal! bout time I repaid the favour! hehe, I would love to see them in your WIP! how is it going? Tartle makes me laugh so much! it sounds filthy!! I used to read the dictionary as a kid. I assumed I was weird until I read Stephen Fry did as well. Actually that probably make it certain I’m weird. I think your weirdness made you weird! :p we love you in spite of it Geoffle! :p I definitely used to play games with the dictionary with my mum – she used to flick through it we would say stop, and then she would plump for a random word and demand a definition from us, I used to think it was a fantastic game, not realising how much we were learning!! what a brilliant mum; mine had a similar idea, in that, if we didn’t know a word she’d make us get the dictionary and find it. Then we had to look at the words either side and guess hat they meant. Many laughs at that and it usually led us to the biscuit tin after! Mums rule! I need to make sure I do similar games for the boy. Like your mums idea too – stolen. Fantastic! I have a collection of words and signed up for the word of the day a while ago. I haven’t been dilligent in doing anything with it though. I’ll be adding your words to my own and paying more attention! Where do you collect/store your words? I find the action of writing them physically helps me remember them, but its a terrible way to collect them, no easy mechanism for searching or alphabetising them. sigh. <3 <3 <3 Words! Aaaah! 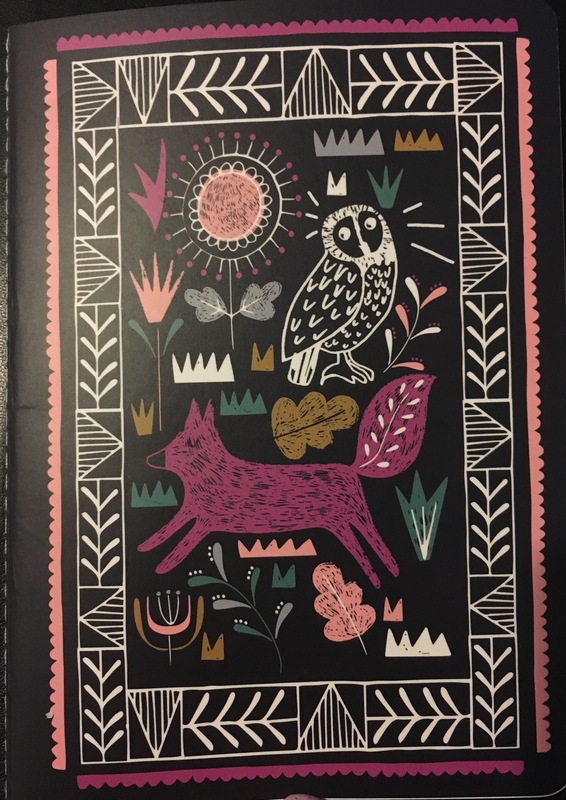 Love this (and the journal–how gorgeous is that?) Yes, we must collect words. I have a collection of first lines I posted about. Words. They're like ice cream. And coffee. And cake. And super-salty pretzels. Just not all at once. hehe thank you Sarah. I love the journal too, was chuffed to bits when my friend gave it to me. I remember your first line posts – got a few books on my list to read. speaking of which I’m a total idiot, guess what I didn’t do last time I asked…. put that sodding book on my wish list. What was it called again? Tartle? I never knew there was a name for this. Tarantism? I’ve been bitten by many a wolf spider, but have never experienced this, thank goodness. People think I’m crazy enough as it is. Wonderful post, Sacha. I think I’m going to have to start my own list. You have been bitten by spiders? :O omg – did it hurt?? are wolf spiders huge? I’m beyond terrified of spiders! I couldn’t think of anything worse than being bitten. It is an old word to be fair – maybe it isn’t used any more? Spiders hurt when they bite, but not as bad as a bee sting. Wolf spiders are one of the largest we have around here – about 2 inches in diameter. They love wood piles, basements, gardens – they are pretty much every where here. They don’t itch. They almost always get infected and you have to clean the wound out a couple of times a day – they take a hunk out of your skin. They are really quite fascinating. I will take a wolf spider bite over a black widow or a brown recluse any day – both are even more poisonous than the wolf spider. Blimey, i really can’t imagine being bitten by one, I am so terrified, I know it sounds ridiculous but its one of the major things putting me off a visit to Australia, I know, bonkers, but I just couldn’t cope! Seriously can’t believe you have been bitten! Sacha, fear of anything is paralyzing and definitely no laughing matter. I understand.We all have phobias of some kind or another – for me fire, high places. Like a tarantella, or Tarantallegra – brilliant!